About the Children's Department: Resource for Families - Science the Bible & Fun! 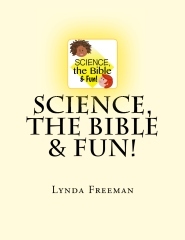 Resource for Families - Science the Bible & Fun! In this day and age it is especially important for grandparents (and parents) to be focused upon passing their faith to the children they love, but it can be a challenge to find resources to help them do this. Science the Bible & Fun was written for this reason and provides 52 weeks of lessons grandparents/parents will be able to use to engage their grandchildren/children in learning how to love, know and walk with God! And check the giveaway for this on my other blog - grandma's cookie jar!